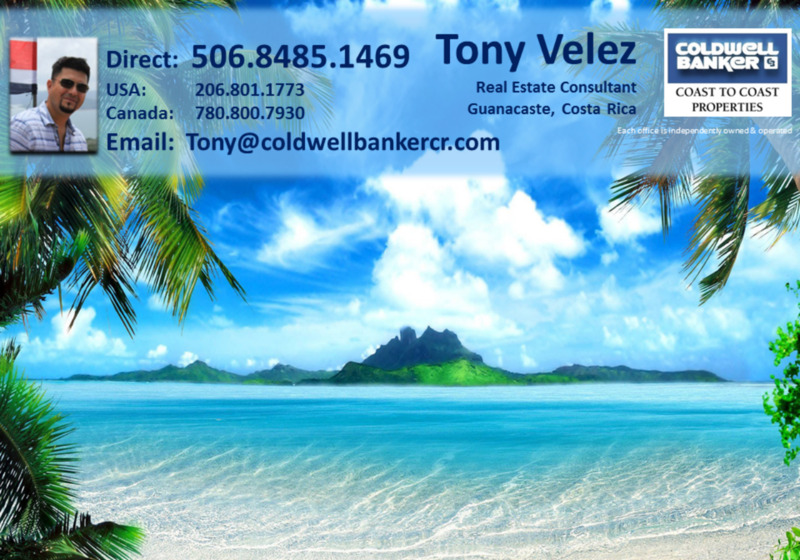 Tony and Anna Velez are proud to be part of the Coldwell Banker Coast To Coast team, the local leader in residential and commercial real estate. They bring 28 years of combined real estate and business knowledge, dedication and competitive edge with the various experiences they’ve had as real estate investors, managers and wholesalers. Tony and Anna moved to Costa Rica from Northern Alberta, Canada to pursue a healthy lifestyle, enjoy warm climate all year round and raise their children in paradise called Costa Rica. Tony started travelling to the Rich Coast in the 90’s when so little land was developed and witnessed small fishing villages growing into fully functioning world class urban centers. Anna fell in love with Pura Vida lifestyle on their family vacation in 2011 and made a determination to make this place home. The couple now enjoys their ocean view home in Playas del Coco area while their two daughters attend local schools. Team Velez has been very successful in buying and re-selling tax foreclosure properties throughout USA over the last few years. They now specialize in bank foreclosures with Costa Rican banks as well. They know how to find a bargain and love to pass on a good deal to their clients. Anna and Tony have owned and managed multiple properties all throughout North, Central and South America. They truly understand the seller’s point of view and work diligently on marketing properties using latest tools and technologies. Nobody gets paid until the property is sold. Tony has vast experience in construction and project management, both commercial and residential, and is a great resource for clients looking to build, renovate or enhance their property. Anna started in accounting and contract management field, moving later into information technology and management. Between the two, they speak English, Spanish, Russian, Italian, Ukrainian and Polish. Team up with this winning team! Call Tony and Anna today! Tel: 506-8485-1469.